Cleveland TLM Friends was asked to pass along information about the 2014 Columbus (Ohio) Marian Conference. Click the link below. 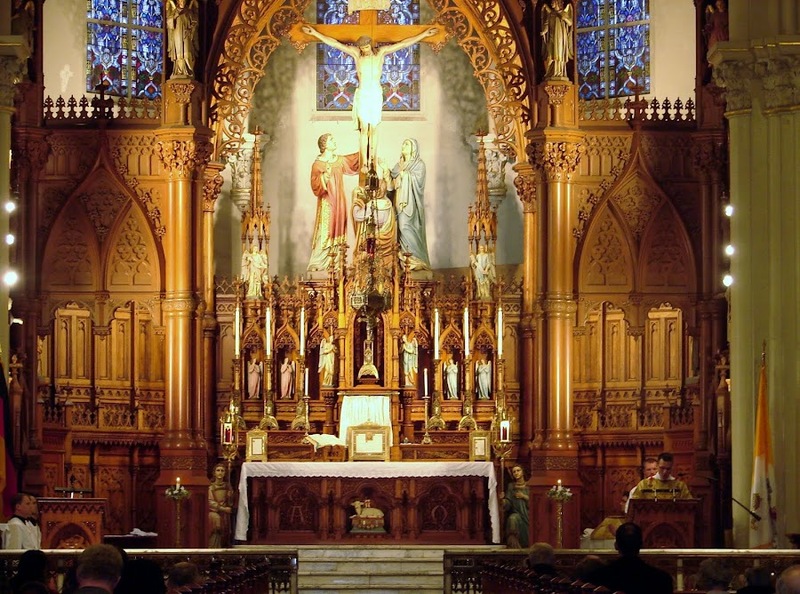 Please be aware and advise others who may need to know that the CORRECT Mass time for the Feast of the Sacred Heart at Immaculate Conception on Superior Avenue in Cleveland is......drum roll, please......6:30pm. We sincerely apologize for this and hope that it reaches everyone who plans to attend. The confusion came from their regularly scheduled First Friday Mass, which is at 6:00pm. If you wish to confirm with the parish, and that would certainly be understandable, the rectory phone number is 216-431-5900. 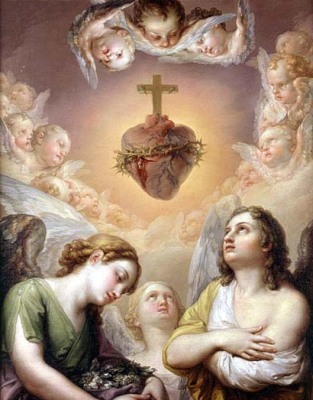 For the glorious feast of the Sacred Heart of Jesus, Immaculate Conception will offer Low Mass with the Litany and Benediction at 6:00pm. Please be aware that it was mistakenly announced on Sunday at St. Stephen that the Mass would be at 6:30pm. The correct time is 6:00pm. First, much apology for having not announced this earlier. Things at home this week have been VERY busy. St. Stephen will offer a Missa Cantata for the traditional day of the Feast of Corpus Christi (Thursday, June 19, 2014). Mass will be at 6:30pm. There will be a Procession in the church, followed by Benediction. Fr. Bede announced on Sunday that he will be trying to find a deacon and sub-deacon.....so there is a possibility it will be a Missa Solemnis. We are reminded that the Feast has been transferred to Sunday here in the Diocese of Cleveland. As far as we know, the other Latin Mass parishes will offer the Feast of Corpus Christi on Sunday, June 22, 2014.